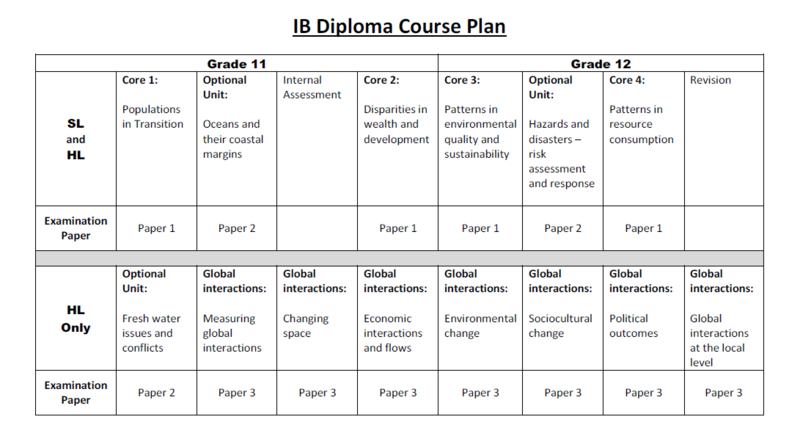 In the Geography IB Syllabus the key words are guidance to what the IB expect of you as a student. The word explain in the first line of the IB Syllabus indicates that this sentence is an A02 skill. This means that in the examination they could ask a question that will demonstrate the student's understanding of the key concepts eg Population Pyramids. This will refer to Section A in Paper 1 and will therefore be worth a maximum of 5 or 6 marks. The word discuss here indicates that this is an A03 skill. This means that this area could be found in Section B in Paper 1 and could therefore be an essay question worth 15 marks. 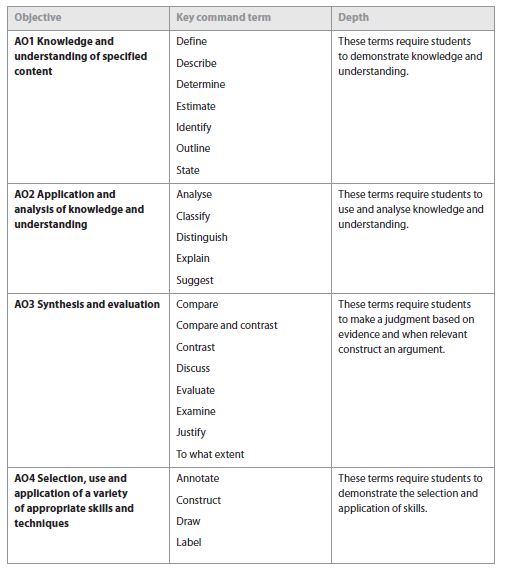 This will require that all students have specific case study materials and facts to be able to discuss and evaluate. Note: It is important to be aware that any A03 skill can be downgraded to an A02 or A01 but they will never be upgraded. Therefore any A02 for example can never be an essay topic.